Regardless of how you come down on Jandek’s music, it’s hard not to be fascinated by the enigmatic world he both inhabits and cultivates. 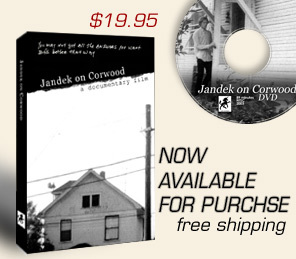 Every music documentary is about the cult of personality; in Jandek on Corwood the personality lacks a person, but the results are compelling nonetheless. Jantastic! Proves less interested in the more mundane question of who Jandek really is than in how the artist has managed to maintain his singular mystique. As one expert notes, and as Jandek on Corwood cleverly confirms, by withholding his own persona from fans, Jandek has created a far more intriguing, far more compelling image.